Nature has always been a good provider of art inspiration. It is natural for artists to use the elements of nature as their subject to their masterpieces since it is everything they practically see that offers beauty in this world. One beautiful stimulus from nature are the leaves. Depending on the tree where it belongs or the season it is exposed, leaves give us the colors and exquisiteness that drives art. 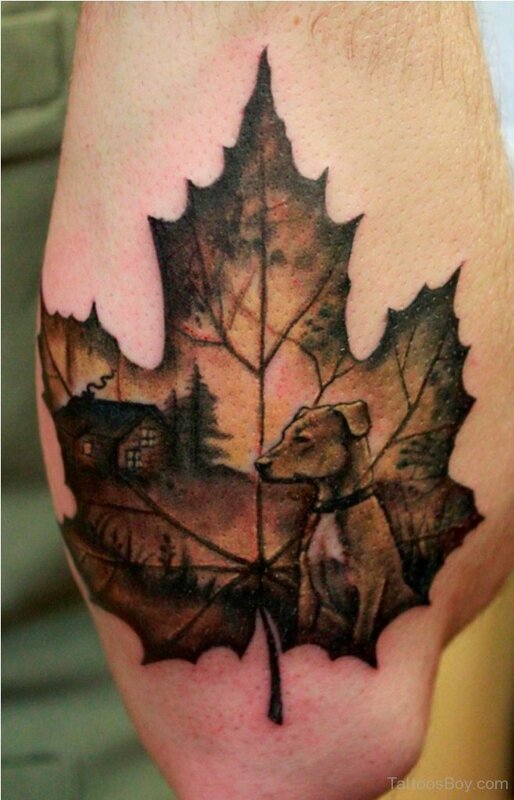 In tattoos, leaves are common favorites. Some of the famous leaf species exposed in tattoos are from maple, fern, and oak. There are monochromatic leaf designs that are inked on arms and legs and there are watercolor leaves that are usually done in sleeves. We also saw a couple of samples of small leaf tats placed at the back of the ear or in the shoulder blades. Leaf tattoos are examples of calm and serene tattoos that make the viewing public relax and feel good within themselves. For those that already have these types of tattoos, happiness is very evident to them. Get your own leaf tattoo and be part of the few people that influence serenity in living. Here are the 32 Magnificent Leaves Tattoo Designs for everyone! You may also take a look at our 40 Meticulous Fern Tattoo Designs collection.